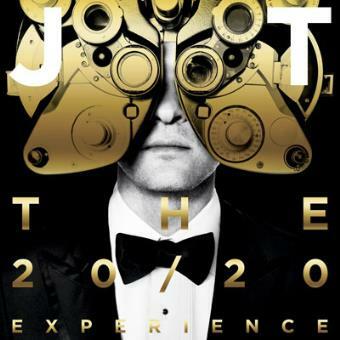 Em Setembro de 2013 Justin Timberlake continua a jornada iniciada com “The 20/20 Experience” com o lançamento do álbum “The 20/20 Experience 2 of 2”. O primeiro single chama-se “Take back the night” e o videoclip estreou no canal Youtbe, foi escrito por Justin Timberlake, Timbaland, Jerome “J-Roc” Harmon e James Fauntleroy e produzido por Timbaland, Justin Timberlake e Jerome “J-Roc” Harmon. A acompanhar o novo álbum estará também a edição de “The 20/20 Experience – The Complete Experience” que reúne as 21 faixas dos dois discos. Este novo álbum inclui 11 temas novos assim como uma surpresa de Justin Timberlake, que o próprio descreve - “I originally recorded a massive amount of material and decided on the 20 tracks that I wanted on the album over a year ago. But, when I was mixing and going through all of the songs there were so many that I loved - I couldn't resist... I had to throw in something extra on the 2nd half."